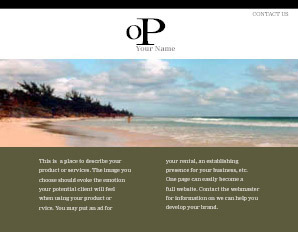 To use one of these templates for your website, simply let us know which you would like to use. Send us your payment and the photo/s you would like to use, along with your copy and we will produce the web page for you. Additional photos and pages may be added. Contact us at info@briland.com for prices.